On 3 September 2018, the Center for Social Development Studies (CSDS) and the Faculty of Political Science of Chulalongkorn University hosted a policy forum discussing the Lancang-Mekong Cooperation (LMC) and China's role in the Mekong region. 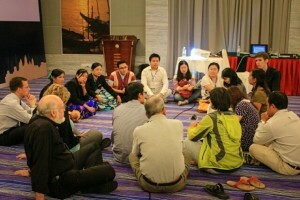 The forum was co-organized with chinadialogue, The Third Pole, and Earth Journalism Network. Over ninety participants were spending the full day discussing important issues on the cooperation framework and initiatives in Southeast Asia. The Dean of the Faculty of Political Science, Assoc. Prof. Dr. Ake Tangsupvattana, opened the event with welcoming remarks highlighting how the countries of mainland Southeast Asia are facing a period of rapid change with growing flows of investment from China into a range of projects. He observed that whilst economic growth continues, there remain unresolved challenges on environmental sustainability, social equity, and public participation. The first session, moderated Dr. Carl Middleton from CSDS, discussed the geopolitical implications of the Belt and Road Initiative for Asia. Dr. Thitinan Pongsudhirak from the Institute of Security and International Studies (ISIS) of Chulalongkorn University raised the question on how the Belt and Road Initiative posed challenges to the existing legal international regimes, while Mr. Li Hong who is the Permanent Representative of China to United Nations Economic and Social Commission for Asia and Pacific (UNESCAP) discussed the ideas behind the Belt and Road Initiatives and how it is an open initiative and it is expected to be a joint effort between the countries instead of just centering on China. Legal and Political Analyst Benjamin Zawacki explained the impact of Belt and Road Initiatives for the relations between Thailand and the US, including US proposals for a Free and Open Indo-Pacific strategy, as well as the crucial role Thailand could be playing once it takes up the ASEAN chair in 2019. Wrapping up the session was Amantha Perera, a journalist from Sri Lanka, who shared the experience of Sri Lanka dealing with investments from China which has led in some cases to a so-called “Debt Trap” when loans failed to perform. He also reminded how environmental impact from investments are rarely being properly assessed and not publicly disclosed. The second session, moderated by Dr. Ukrist Pathmanand from the Mekong Research Center of Chulalongkorn University, discussed the progress and challenges on transboundary water cooperation. Dr. Anoulak Kittikhoun, Chief Strategy and Partnership Officer of the Mekong River Commission (MRC) Secretariat explained about the MRC and how it was increasingly engaging with China, including through the LMC. Dr. John Dore, Lead Water Specialist from Australia's Department of Foreign Affairs and Trade highlighted how around transboundary water governance on the Mekong River involved not only governments, but multiple actors and coalitions through multi-track diplomacy that influences development directions and decision-making. Meanwhile Supalak Ganjanakhundee from The Nation newspaper reflected on the Xe Pian - Xe Nam Noi disaster and how he expected the existing initiatives in the Mekong Region, including the MRC, to play a bigger part in responding to the disaster. The third session, moderated by Kamol Sukin from chinadialogue, discussed emerging cooperation issues with the rise of the LMC. Courtney Weatherby from the Stimson Centre raised the issue of energy market shifts. In particular, she addressed how the price of non-hydropower renewables were dropping quickly, there are now innovations in energy transmission, and how China’s current excess hydropower could drastically alter investment needs in the Lower-Mekong region. Dr. Chayanis Krittasudthacheewa from Stockholm Environment Institute (SEI) explained the necessity of sustainable scientific cooperation across the region to address knowledge gaps. She also highlighted how better approaches to knowledge production and need to influence policy, in particular the “co-production of knowledge” between researchers and practioners. Dr. Apichai Sunchindah, an Independent Development Specialist, highlighted the lack of sufficient cooperation between different existing regional frameworks and how ASEAN could help in backing initiatives in the Mekong Region to balance the influence of China. In the last session, moderated by Sim Kok Eng Amy from Earth Journalism Network, journalists from China, Myanmar, and Vietnam shared the trends, challenges, and successes for Southeast Asia's media on reporting the Mekong and China's role. Wang Yan from News China highlighted journalists' role in reporting regional issues such as helping to facilitate communications between upstream and downstream countries and communities. Zayar Hlaing from Mawkun Magazine in Myanmar shared the story of the Sino-Myanmar pipeline project and its impact on the livelihood of people living along the pipeline. Bui Tien Dung from Vietnam shared about the importance of networking and capacity building for journalists working on environmental and social issues in the Mekong Region to improve the quality of the reporting. This session also highlighted the importance of cooperation between media and research institutes to help inform public debates. For the closing remarks, Dr. Sam Geall from chinadialogue highlighted the importance of improved communication between China and the Lower Mekong countries and the role that journalists could play. Professor Surichai Wun'gaeo from the Center for Peace and Conflict Studies of Chulalongkorn University ended the forum with a reminder that any regional inter-governmental cooperation needs to be understood from the perspective of the impact on people’s lives, and emphasized the importance of always putting the well-being of people as the priority. The shared presentations from this discussion can be accessed here. Some of the sessions were broadcast on Facebook Live and can also be viewed on the above link. The 2018 Salween Studies Research Workshop gathered researchers and experts from around the world on 26 & 27 February at the University of Yangon, Myanmar to discuss the present situation of this important river as well as the future of the basin, its people and natural ecologies. This research workshop was also the final meeting of the Salween Water Governance Project and as such, represents the culmination of three years of research and collaboration among the “Salween University Network.” The workshop was co-hosted by the University of Yangon, the York Centre for Asian Research and CSDS, with the kind support of CGIAR WLE and Australian Aid. Over sixty participants were able to spend two full days diving into important issues and developments all related to the unique Salween River, with topics ranging from the traditional conversations around water management and natural conservation to more contentious presentations on peace/conflict and alternative development planning. The abstract booklet for the entire workshop is available for download here. With great diversity in backgrounds, nationality and expertise, it can be concluded that the wealth of knowledge exchange and learning that took place during this workshop was not only inspiring to all those in attendance, but has set the bar for future gatherings on the topic, aimed at creating real action and planning for Salween River sustainable and inclusive development. In total, 30 individuals presented their research or current work/projects in twelve separate, themed panels, with the addition of important keynote and closing statements. In the opening address by Professor Maung Maung Aye, the seasoned Salween advocate highlighted the importance of research and the scientific process to the past, present and future of the Salween River. 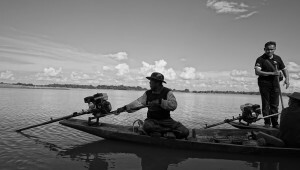 Given the political and often violent upheaval that has been ever-present along the river and throughout the country over the past decades, persistent and continued research has the ability to greatly boost the efforts of knowledge transfer, policy change and conservation, which is seen as a major benefit to the millions who depend on the river. He also stated that past conferences and this workshop continue to highlight the need to better link researchers with the decision-making processes that are taking place, which will also allow for more effective collaboration between the many various actors who relate to the river in some way. Professor Maung concluded that those in the room (and outside) need to continue thinking outside of the box to create more inclusive solutions to the problems stemming from river development and most importantly, be sure to include local community perspectives in all policy processes. Chiang Mai University's Professor Chayan Vaddhanaphuti kicked off the second day of the workshop with a focus on the states of knowledge and geographies of ignorance of/in the Salween Basin, issues that lie under the surface of the conversation, but have a mighty effect on how decisions are made and who controls what. Dr. Chayan is known throughout the region for his transdisciplinary community based research, so his spirited and inspiring keynote about the importance of analyzing how knowledge is produced, understood and dispersed, in terms of development and conservation on the Salween, was extremely timely and an important addition to the workshop's conversations and vision. For the closing remarks, Dr. Khin Maung Lwin discussed how research and policy making on the Salween River (and beyond) is related, a topic most in the audience could relate to, as many are active not only in research, but policy change. The question of how the two concepts should be related and work with each other is certainly a complicated one, particularly in Myanmar these days, but as Dr. Khin Maung Lwin pointed out, based off of just the research and work presented during the workshop, the two most certainly compliment each other in many situations, and policy making cannot happen properly without research, and quite often, research is made practical or relevant if it affects policy. The trick with connecting both is to find a happy medium, a balance between two delicate processes, only made even more complicated when looking at many of the issues that face the river and the people who depend on it. From 16-18 February 2018, academics, researchers, and civil society convened in Mandalay, Myanmar for the 2nd International Conference on Burma/Myanmar Studies hosted by the University of Mandalay in conjunction with Chiang Mai University. This three-day event gave participants an opportunity to present their most recent research on all things related to Burma/Myanmar, from the effects of hydropower construction on the country’s rivers and communities, to health trends of Burmese migrants in northern Thailand. For full details on the conference and to download all the abstracts for the presentations detailed below, please follow the link. CSDS Researchers convened three separate panels during the event, and supported Salween fellows and visiting researchers to present on the panels. The first CSDS session, convened by Carl Middleton, focused on the sometimes-drastic changes that are now taking place in many of the sites within the Salween Basin as the effects of hydropower and land development transform communities and livelihoods. With a session title of “Local Livelihoods and Change in the Salween Basin,” four researchers from the Salween Fellowship program (Dr. Mar Mar Aye, Dr. Khin Sander Aye, Hnin Wut Yee and Dr. Cherry Aung) presented findings from their research. Satellite imagery was used in Dr. Khin Sander Aye’s research to show how forest and agricultural land cover was changing due to a lack of management and conservation, and the negative impacts this was already causing in community’s local economies and individual livelihoods. 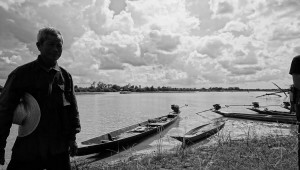 Similarly, Dr. Cherry Aung’s research focused on how new developments on the Thanlwin River, and in particular its estuary, were affecting natural ecology and fish populations, where the drastic decline of fish populations (some have even gone extinct) is causing major problems for the people and economies that depend on them. Dr. Mar Mar also used an analysis on how plants are being tapped for their medicinal purpose and how the changes in this practice is effected by development projects and economic improvements in the study area. Fellow Hnin dived deeper into the hydropower development debate by looking specifically at how women are not only impacted by these new plans, but how they are (or are not) included in decision making processes that will have major impacts on their lives and livelihoods. In the afternoon, Vanessa Lamb convened a session that looked at the cultural and political implications and transformations of the Salween River and the communities that are located on or around it. Civil society member and research fellow John Bright presented on how the traditional understanding of human rights as well as a lesser known frame of cultural rites could be used to increase participation and decision-making power of local communities that are most effected by river developments, concluding with a presentation of the Salween Peace Park concept that has been growing in popularity among many involved in the riparian debate. 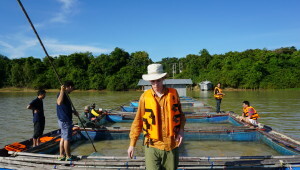 Similarly, Alec Scott, co-authoring with Carl Middleton, analyzed river developments from a frame that recognizes that there are multiple pathways in the debate, further complicating the not-so-simple debate by bringing in more actors and viewpoints on the benefits or damages created from hydropower developments on the Salween River. Visiting CSDS Research Fellow Joanna Göetz took a step back from the normal conversation to question the current definition of water and scale in the governance conversation. By redefining the debate and understanding of these concepts amongst various actors (both state, government and citizen), she argued that this could have very important implications for future development, most of which would not be positive for the everyday person. Finally, Dr. Vanessa Lamb took a look at flooding, and how various communities, particularly those who practice riverbank gardening, utilize and harness monsoon flooding, shining a new spotlight on how we understand disaster narratives and some uncovered truths behind them. The last of the sessions organized by CSDS was that of “Development and Transition in Myanmar: Exploring a New Political and Economic Landscape Since 2010,” led by Dr. Nauremon Thabchumpon where panelist delved into discussion about change and future implications of such transformations. This session took on a more formal and technical tone, with panelists looking at specific development projects, laws and finance structures and how they are creating new status quos and relationships in the political and economic sectors. Looking at newly established legal and political reform, Wolfram Schaffer used various case studies to demonstrate his argument that rather than state-building, recent changes in governance and rule-of-law are resulting in greater trans-nationalization between Myanmar and its neighbors, particularly given increased bi-lateral development projects and trade in the region. Nattapon Tantrakoonsap from Chulalongkorn University's Institute of Asian Studies took the recent case study of the Mandalay-Ruili Road Connection project to highlight Myanmar’s new and growing relationship with China, as well as the fact that this relationship is not static but rather one that continues to change as its border situation, forest policy and special economic policy continues to alter course. MAIDS alumni Zaw Aung also used the country's current development policies and plans to determine how these were resulting in economic transitions both for the post-military government as well as the nation, a transformation which has important implications for the citizens of Myanmar who are eager for change and prosperity. With the return of the civilian government (the first in 50 years), the economic effects of a growing democracy and liberalization of the markets could spell success if enacted correctly, or financial disasters for millions. Dr. Naruemon Thabchumpon also focused on the effects of economic changes on the democratic transition and how these trickled down to effect the public sector and the growing civil society movements. Her presentation made the case that these transitions in both the economic and political spheres were resulting in expanded spaces for the public sector and civil society participation in the democratic movement, but not without a sleuth of challenges that comes with such a transformation. Lastly, a presentation by Carl Middleton on work conducted with Naruemon Thabchumpon, Fransiskus Adrian and Tarmedi Surada Chundasutathanakul discussed how the road link project of the Dawei Special Economic Zone (SEZ) has sparked and transformed conflict among communities on the project's route, and threatens local livelihoods and ways of traditional life. While power structures continue to grow asymmetrically, mainly benefitting the state and project developers, new spaces are appearing in which the public and civil society can challenge the current narrative. Lastly, in a separate panel that had a focus on Chin State, Dr. Carl Middleton presented his research on water insecurity in Hakha town, Chin State, Myanmar, culminating the over year-long field research that was conducted there. With a growing population and decreasing peace and resources, accessible and clean water for all is of major concern for the region and the town is making due with community water groups and small-scale private activities. The research presented uncovered that structural violence, not just population growth, was a major factor behind the decline of water security in Hakha Town, so matters of justice actually stand to be addressed on top of traditional water governance methods. EVENT: "Towards a Creative Diplomacy Agenda: Exploring New Approaches for Contemporary Transboundary Water Governance"
As part of a special day of worldwide events, spanning over 100 cities and with 160 organizations involved, Chulalongkorn University (CSDS, Chula Global Network and the Center for Peace and Conflict Studies) hosted a Why Think Tanks Matter event, moderated by Prof. Kasira Cheeppensook, focused on the topic of how civil society can create a stronger diplomacy agenda for transboundary water governance and riparian diplomacy. This series of global events was sparked to help highlight the crucial role think tanks and civil society now play in analyzing, developing and promoting policy solutions, particularly as the rise of populism, nationalism and protectionism increase worldwide, signaling an end to the traditional post-WWII order of politics and society. Particularly here in Southeast Asia where a change in the relationships between the environment, social movements, governments and human rights is creating a new set of security challenges, solutions are required amongst all institutions to cooperate in a more consistent and effective manner. Paired with this important topic were the issues and opportunities that face this region in particular, of perhaps the most precious resource for humankind: water. With the region's rivers serving not only as the lifeblood to millions of people, but also as boundaries to many nations in South and Southeast Asia, the importance of pragmatic and effective diplomacy, not just by governments, but by civil society institutions, will be vital to the success and stability of the region for the foreseeable future. As the organizations and institutions tasked with such work have a tough road ahead on these topics, it is imperative that they operate with knowledge and resources that reflect and come from a variety and multiplicity of levels and stakeholders, in order to remain relevant, impactful and fair. This is perhaps the most important accompanying set of discussions that were brought up by almost every panelists, as it is recognized widely that knowledge equates with power, so it is the role of civil society to ensure that this knowledge is used in an innovative and widespread manner to promote sustainable and equitable change for all. Panelists at this event did not mince words and stressed the importance of collaboration and transparency, which are still heavily needed in the work being done at this topics at all levels. Professor Imtiaz Ahmed, from the Centre for Genocide Studies at the University of Dhaka, Bangladesh opened the panel by providing an alternative yet thought provoking take on the meanings and re-contextualizations of both "water" and "rivers," as he supports the idea that this must now be done in order to better understand how we use water and how it is interwoven in all parts of society and daily life. The concepts of using the new methodology of micro-narratives to better tell stories in order to bring about creative hydrodiplomacy were also brought up, adding to the innovation that this series of events hopes to spark throughout civil society. Dr. John Dore from the Department for Foreign Affairs and Trade, Government of Australia challenged the room to think outside of the proverbial box as he reviewed and analysed alternative mechanisms and organizations like the Lancang Mekong Cooperation Framework that are reshaping water policy and governance in the region, fueled by new regional players and an increasingly serious battle for depleting resources. The subsequent three presentations given by Ganesh Pangare and Bushra Nishat (International Water Association), Dr. Sucharit Koonthanakulwong (UNESCO Chair on Water & Sustainable Development) and Asst. Prof. Dr. Carl Middleton (CSDS/Faculty of Political Science, Chulalongkorn University) all focused on local case studies where civil society, co-productions of knowledge and innovations are being employed to better engage all members of society in projects focused on hydro-diplomacy and water governance. Lastly Dr. Chariyaway Suntabutra the Former Ambassador of Thailand to Egypt, Kenya and Germany provided his insight on the panel's non-traditional methods compared with the traditional diplomacy approaches observed from his time working for the government, and stressed that these new ways of thinking are indeed vital for our shared success and survival in the future. The wrap-up to the panel given, by Surichai Wun'gaeo, served as both an inspiration and call to action for all present, with emphasis on challenging the current status quo in order to influence those in power and to make real, tangible change, starting from the lowest grassroots level all the way up to the top. "Water (In)security and Development in Southeast Asia: Inclusions, Exclusions and Transformations"
On the first day of the Social and Sustainability Science in ASEAN International Conference 2018: Agri-Food Systems, Rural Sustainability and Socioeconomic Transformations in South-east Asia, CSDS organized and presented on a panel centered on conflicts over access to, control over and use of water and natural resources at scales ranging from the interstate to the individual. Four panelists presented their most recent research which focused on case studies from around the region, in Myanmar, Thailand and Lao PDR. The panel was comprised of Dr. Soimart Rungmanee (Puay Ungpakorn School of Development Studies, Thammasart University), Assoc. Prof. Dr. Kanokwan Manorom (Department of Social Science, Faculty of Liberal Arts, Ubon Ratchathani University), Saw John Bright (Karen Environmental and Social Action Network - KESAN) and Asst. Prof. Dr. Carl Middleton (Center for Social Development Studies, Faculty of Political Science, Chulalongkorn University). For more details on the conference please visit our post here or download the official program here. The second day of the 2017 Greater Mekong Forum on Water, Food and Energy has continued with insightful and sometimes emotional presentations from both researchers and development organizations alike and today, fellows from the MK31, MK32 and MK33 programs came together to present and discuss their projects. Years in the making, the research presented focused on the rivers and basins of the Salween, Mekong and Red, with themes highlighting water governance, healthy rivers; river food systems, healthy landscape and ecosystems and gender and social justice (see WLE website for more details). All Greater Mekong region countries were represented, and the session today gave a space not only to present projects that have been being researched and developed for years, but also a chance for attendees to personally connect with the researchers for further questioning and debate. The session began with a roundtable presentation of representatives from each river, highlighting commonalities of the groups research as well as lessons learned, surprising findings and what was most gained from participating in the fellowship program. The Salween representatives highlighted how much of their combined worked took a justice narrative at the end as many sought to give a voice to local or marginalized populations that would normally be unable to seek justice or a change in their evolving status quo. Hnin Wut Yee also mentioned that she was surprised to discover the fact that there is an changing attitude towards women's access to resources, a positive shift in historically and culturally patriarchal communities throughout Myanmar. The projects coming out of the Mekong River region centered around the transformation of this mighty river which is producing and again, evolving, risks for surrounding communities. The effects of climate change have also been documented and continue to present a great challenge for both researchers working and local communities living in the region. 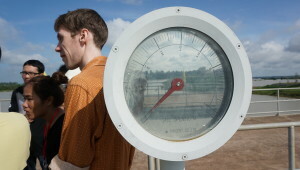 Similarly, the Red River team from Vietnam also highlighted a visible growing impact of climate change on many of their projects and noted while most communities don't necessarily recognize or understand the threat, this theme/topic is of great importance and will play an importance factor in future research in their country. Perhaps one of the most unique aspect of this program is the capacity and ability to which it has shaped and changed the lives of the fellows involved. 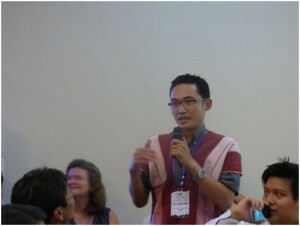 Not only did the presenters' research and academic skills greatly benefit and improve from their active involvement in both field work and academic presentation through papers, blogs and conferences, but the networks and friendships that have been created both within the river cohorts and across the Greater Mekong region have culminated in better analysis, friendships and future work. One presenters commented the the program both literally and figuratively allowed her to take her work further, both in a sense where the funding allowed for greater scope and travel to remote sites, but also the level of professionally in technical writing and related outputs greatly improved. In building off of the theme of justice that was captured by many in the field, one researched commended the fellowship's ability to empower the researcher and allow her to consequently raise up more voices throughout the community she conducted her work in, particularly those of women. As the roundtable came to a close, attendees were invited to tour the room and visit each researcher's individual research presentations, providing them with further details and fuel for thought on a variety of issues across Southeast Asia. The researchers had ample opportunities to practice their research narratives and elevator pitches to a crowd that was hungry for knowledge and not shy to press and debate for more information. In observing the ending scene of this session, it is obvious that this fellowship program was a huge success and the research documented and the communities engaged will certainly have an impact on future policy makers and hopefully inspire new generations to go out into the unknown to uncover answers, truth and bring light to those seeking justice and change in their communities. The 2017 Greater Mekong Forum on Water, Food and Energy has officially kicked of and researchers, scientists, policy makers, non-state actors, civil service, journalist and every other profession that you could imagine with an interest in water in Southeast Asia have all come together in Yangon, Myanmar for a three day event that will touch on a diverse and highly-inclusive array of topics related to the region and beyond. Our Salween water governance research, comprising of researchers and staff members from York University Center for Asian Research, the Center for Social Development Studies, Chulalongkorn University, Weaving Bonds Across Borders and Green Watershed, presented in a way that was meant to bring their fieldwork and uncovered stories from remote communities to the conference for all interested participants to see first hand what is happening on the ground there as it relates to the challenges, threats and opportunities of water governance. The first video and subsequent Q&A session, presented by the Mong Par Youth Association and Weaving Bonds Across Borders, focused on the Mong Pan region. The session revealed the intimate relationship between the community and water, as well as how the divisions of labor and responsibility in terms of gender relate to water. The session also highlighted the implications of growing human settlements and extractive industries (logging; small scale mining) growing on the river and the wildlife and fish species there, as those who are situated on or near the river depend heavily on these resources for their survival and livelihoods. Second, the team from KESAN researching the Daw Lar Lake in Karen (Kayin) State, Myanmar previewed a short clip from the newly launched Salween Stories multimedia platform, showcasing their findings and analysis on the community-based governance of the lake and its resources. Community action was urged, both in this case study and for the wider region as the lake's resources were changing and starting to have an effect on the local communities there. Lastly, the Green Watershed team took us to the Nu River (jiang/江）river basin in Yunnan, China where their documentary focused on the changing policies and attitudes in the region which is now being designated as an expansive ecotourism development project sponsored by both the Central and local governments aimed to conserve this national beauty. The final workshop of the Mekong-Red-Salween fellowship program was held in Yangon on 23th and 24th October. 22 fellows joined the workshop, together with the project teams from Ubon Ratchathani University, the Vietnam Academy for Water Resources, and Chulalongkorn University. The overarching goal of the workshop was to identify and synthesize insights gained by fellows from the three river basins during the duration of their fellowship experience. The agenda can be downloaded here. For each theme, first there was a presentation by the project team, followed by facilitated group discussion by basin. Here, the fellows shared what they had learned about each topic through their research. A range of insights emerged that revealed both the shared and unique experiences across and within each basin. In the afternoon, we focused on identifying ways in which research produced through a fellowship program could practically impact policy agendas, followed by an evaluation of the program. The outcome of the day’s discussion will form the basis of a policy brief and book chapter. What are the common most significant themes/issues that you have observed from your research/ working with the next users? What are the common emerging /new/ debatable knowledge that you have found from your research on resource governance/ social justice/ related themes? What are the impacts of the fellows’ research on development/improve resource governance? What are common key policy recommendations based on your research to improve resource governance in Salween/Mekong/Red river basins? What have you gained from the program? The fellows also identified and practiced a concise verbal summary of their policy poster and policy brief ready for their session. The two day workshops revealed both the breadth and depth of knowledge generated by the fellowship program. We also discovered how over the past three years the fellows had learned much from each other, and built new friendships that span the region. Tucked away just north of Bangkok proper sits a tiny island on the Chao Phraya River, home to both local Thai and decedents of ethnic Mon communities who have shared this location for over 200 years. Koh Kret was the site of the second day of the CSDS/ MAIDS/ Third Pole media workshop, where our visiting journalists and new MAIDS students were taken for a day of observation and hands-on learning on 21 August 2017. Corresponding with the workshop’s main themes, the day focused on learning the island’s history and current responses to regular and severe floods, the utility of local/traditional knowledge, sustainable tourism and community cooperation and activism. ur group was first greeted and briefed by the islands main administrators, who gave a brief history of the island, and generously answered in detail many of the group’s questions relating to flood prevention and how urban and environmental changes were affecting the island. They emphasized a ranged of challenges, including river bank erosion, managing pollution, and the impacts of flooding. 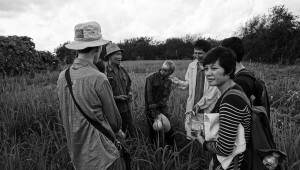 Wasting no time, the group was then whisked away to a farming area, where a tour of a traditional fruit farm was given, allowing for a glimpse into Thailand’s agricultural practices and the challenges this sector now faces. 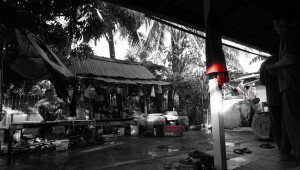 Koh Kret island is famous for its durian fruit, which can cost up to THB 10,000 per kilogram. The farmer explained that whilst the durian trees are vulnerable to flooding, some farms build dykes to protect their trees, and there was a wider desire for more comprehensive flood protection dyke infrastructure for the whole island. After cooling off away from the brutal midday monsoon heat, the group arrived at the community center for some traditional Thai snacks and sweets, alongside an introduction of community life and how the seven moo’s [villages] interact and work together to keep traditions alive and teach its many daily tourists about their lives on Koh Kret. After a relaxing lunch alongside the river, the group broke up, with the MAIDS graduate students going off to practice some of their newly learned research methods and the journalists continuing their tour of the island, ending at the island’s famous pottery handicraft center, where traditional clay techniques were displayed and explained. Overall, the field trip to Koh Kret was an opportunity to learn firsthand the experiences of communities who regularly experience flooding of the Chao Phraya River. We discovered that whilst the floods are regularly disruptive, the communities and the local authorities collaborate together to prepare for floods as much as possible, and minimize the harm should flooding occur. Access to information is key to enable preparation, alongside a sense of community solidarity that ensures mutual support when flooding creates difficulties. Local researchers from villages along the Salween River, which flows through Myanmar, Thailand and China, have been conducting research into the social and environmental issues related to the river for the past two years. Their research shows water governance challenges from the perspective of the village. Their work is on display at the Thai Studies Conference in Chiang Mai, Thailand from 15 to 18 July 2017. Come visit their display in the Exhibition Hall, and meet the researchers in person. The research is a part of the Salween Water Governance project. As the Salween Fellowship program enters its third and final year, eight fellows are joining together with several other researchers to further their research for publication in an upcoming edited book about the Salween River, to be published in late 2017. On 16 to 18 April, Pathein University's Department of Marine Science hosted the second WriteShop for this book (see here for the first WriteShop). Over three days, three Salween Fellows and three additional researchers worked through the concepts, arguments, chapter outline and policy implications for their research. The meeting agenda can be viewed here. During the afternoon of the second day of the WriteShop, the group visited the Department of Marine Science's field station, where the university collaborates with a local NGO in a major mangrove restoration project. Dr. Cherry Aung, the head of the Department of Marine Science, who is also a Salween Research Fellow, explained about the project during the visit. On 23-24 March 2017, the selected fellows from the Salween, Mekong and Red River fellowship program who will proceed to further develop their research to be published in a book or international journal met in Sapa, Vietnam for a WriteShop. The goal of the WriteShop was to support the fellows in deepening their research analysis towards attaining a quality suitable for publication. At present, key decisions are being taken that will determine the future path of the Nu-Salween-Thanlwin River. In this session, we shared a “pathways” analysis of the latest developments shaping water governance in the basin. In revealing the range of visions for the future of the Salween basin, based on our research over the previous year, we sought to open a discussion about the outcomes at the local, national and transnational level of a range of potential development pathways, including the implications from the perspective of sustainability and social justice. The session was chaired by Dr. Vanessa Lamb (York University) and Prof Saw Win (Senior Research Associate, Center for Social Development Studies). About 2 years ago I began a conversation with Sakar Pudasaini about the possibility of Karkhana leading a workshop on open science in Kathmandu, Nepal. Karkhana is an innovative and exciting social enterprise based in Kathmandu that has been working for over 4 years now to bring fun, creative, experiential, and impactful Science, Technology, Engineering, Arts, and Math (STEAM) education to all children in the Kathmandu Valley. I had the great pleasure of meeting the team at Karkhana in early 2014 when I was working in Nepal as a Princeton in Asia Fellow, and the continued privilege of meeting new additions to the talent pool as it grew. Karkhana's focused vision and mission expanded the possibilities for the local communities' children, moving towards more equitable and prosperous futures in our globalized lives. The focus of the larger project that I was crafting at the time (late 2014) was around the topics of open science and open source hardware - specifically looking at laboratory equipment, the designs of which could be shared openly across platforms and communities. The first workshop we ran within this larger project took place in September 2015, in Yogyakarta, Indonesia, in partnership with the House of Natural Fiber Foundation - a new media arts collective that had been working in the sciences for over 8 years now. Two members of Karkhana attended, and together we learned a lot about the design and facilitation of international grassroots workshops. The original discussion that I had with Sakar in the second half of 2015 morphed along with this greater understanding of the needs of communities, and understanding of the diverse individuals we planned to bring together in these workshops. I realized after the Indonesia workshop that I still retained a latent bias towards my background in physiology, and my own experience with science education and training. These workshops, along with my work in inclusive and co-created design at DSIL Global, have shifted my own perspective on the nature of open science, and the way that we (as a global community) can create a new definition of science that is more inclusive, contextual, and heard. When Sakar told me that he wanted to focus the workshop in Kathmandu on space science, I said: "Let's do it." As an applied science, there are few things more expansive than allowing a generation of students across the world to imagine a future where we can use technology, arts, engineering, history and science in order to engage the earth, the sky, and beyond. So, here we are today, October 2016 in Kathmandu, with an amazing group of men and women from across Asia working towards creating curriculum, experiences, and tools for students and individuals across Asia to imagine a future in space. This workshop would not be possible without the generous support of the Open and Collaborative Science in Development Network, which is funded by IDRC Canada and UK DFiD. This project is undertaken in collaboration by DSIL Global, HONF, and CSDS. Small group discussion at the Salween University Network meeting. Photo: V. Lamb. The people living in the Salween River Basin, and their voices,have been largely ignored. The up to 10 million people living in the River Basin are continually left out of decision-making processes that will directly impact their livelihoods and futures. But this is changing. I can point to recent civil society and academic research, high-profile research collaborations, and international meetings that aim to attend to the complex ecologies and politics of the Salween River Basin and its challenges, which is much more than when I first joined Salween University Network meetings five years ago. The most recent Salween University Network meeting was held on January 29-31, 2016,at Chiang Mai University, Thailand with support from the Regional Center for Social Science and Sustainable Development (RCSD), Chiang Mai University, and CGIAR Water, Land and Ecosystems Greater Mekong Program. This meeting was an opportunity to review existing research, and to bring a wide range of actors together to discuss the future of the Salween River Basin. A meeting of this variety is a milestone for the Salween University Network, which has been working since October 2012 to build a network in the Salween River Basin as a way to share research and knowledge between academics, researchers, NGOs, journalists, and local communities. In fact, prior to this 2016 meeting, there were several meetings organized to draw international and basin-wide attention to the issues affecting the River Basin, in Myanmar in 2014 and in Thailand in 2014 . In October 2012, for instance, I was among a smaller group who met to discuss what to do about the future of the Salween River Basin. During this meeting, discussion revolved around the mega projects planned along the upper Salween River Basin and the downstream impacts, should the projects gain approval, as well as logging and mining in the River Basin. The interest in the future of the Salween River Basin at that time was eye-opening to future possibilities for collaboration. The opportunity to attend a workshop at its early stages of development and watch its progression to now has especially eye-opening for me who, at the time, was a recent master’s graduate in Global Governance. I was witnessing the beginnings of international collaboration and the formation of a basin-wide organization where the emphasis was on inclusive knowledge production. One of the Network’s biggest strengths is that it is composed primarily of a range of actors from the Salween River Basin region, who are working to produce high-quality research on the Basin and who are concerned about future developments of the basin which put residents at risk. At present, the River Basin is indeed at risk. The mainstream of the Salween River is currently undammed, but that status is being threatened by proposal for 16 large hydropower development projects. The Salween River Basin supports rich fisheries, farmland, and a diverse river landscape. However, high demands for new sources of electricity, especially by Thailand and China, are outweighing and ignoring the needs and voices the region’s people. In comparison to previous decades of military rule in Myanmar, at present researchers have more freedom to do research, and that includes research on the Salween River Basin. In fact, due to successful mobilization efforts and collaborations in the region,academics, and civil society groups are making great strides. The Salween University Network is in a unique position to learn from the mistakes made and gaps that exist in producing knowledge around the other major river basins in the region. Beyond being composed of people from the region, the Network has also established important links with local universities in order to stay connected to the River Basin as a whole and the people who live there. In this way, the opportunity has been created for scientific knowledge and community oriented research to come together to inform national policies. Poignantly, the most recent meeting ended with an important message from Dr.Chayan Vaddhanaphuti, director of the Regional Center for Social Science and Sustainable Development (RCSD), Chiang Mai University. He emphasized that there is both a “geography of knowing and [a] geography of ignorance” for the Salween. In other words, the Salween River Basin has a rich and long history, butby staying ignorant to the voices of its communities,researchers, and policy makers are jeopardizing the River Basin’s future. Dr Khin Maung Lwin, Member of Myanmar’s Advisor & Water Supply and Sanitation Collaborative Council, also reiterated these sentiments, explaining that “Policy gaps are more a result of poor ears than poor policies.” It is important to learn from each other and share that information rather than creating separate, closed-off expert knowledge groups. This workshop brought together research fellows, mentors and colleagues who are currently involved in the project titled “Capacity Building and Professional Development of Water Governance and Regional Development Practitioners in the Mekong, Salween and Red river basins.” The project aims to strengthen the capacity for undertaking research and policy engagement of scholars and practitioners of water, land and energy use and governance in the Red, Mekong and Salween river basins. A cross-cutting focus of the project is research on gender and other forms of social marginalization. The Greater Mekong Forum on Water, Food and Energy held in Phnom Penh, Cambodia from 21-23 October 2015 was an opportunity for the fellows of the Salween, Mekong and Red River Fellowship programs who attended to share their work, to network, and to learn from others. The Forum itself attracted over 300 participants from institutions of diverse backgrounds and from countries all around the Mekong Region and beyond ranging from civil society organizations and universities, to research institutes and government agencies. The forum’s main objective was to bring together researchers, practitioners and policy makers to exchange their work and ideas, and to debate key issues related to food, water and energy in the region. To this end, over forty sessions were held over the three days of the event. The Salween fellowship program, together with our sister programs in the Mekong and Red river basins, hosted two sessions during the Forum. The first session was titled “Launching the 2015 Regional WLE Fellowship Program in the Mekong, Salween and Red River Basins.” The session opened with a brief overview of the fellowship program (download the PPT here ). It then provided a space for the other forum participants to learn about the fellowship programs by having the fellows themselves from each river basin individually introduced their research projects, their related work and their aspirations. A number of participants from the other WLE projects were interested in the fellows’ research, and could see possibilities to collaborate including how the research produced could be shared. This was a positive outcome as it was an aspiration of the wider WLE Mekong Region Program that the individual fellowship projects would integrate with and contribute towards the other WLE projects, and thus deliver a better outcome for the WLE Mekong Program as a whole. Saw John Bright :Understanding different conflicts,ethnic and marginalized groups In Salween Hydro-Power Project. Saw John Bright: Researching on the value of the Salween River from the perspective of different groups, in particular Karen ethnic groups. A number of the Salween fellows’ research topics focus around themes related to plans for large dam construction on the Nu-Thanlwin-Salween River and effects on livelihoods, agriculture, gender, and governance. Some topics draw physical science aspects into their analysis of local livelihoods, whilst others use principally social science approaches. The session provided an open space for fellows to introduce their research to the audience in small groups. For example, one of the Salween fellows, Dr.Mar Mar Aye, a lecturer from the Botany Department of Lashio University, described her study as an ethnobotanical study on the Thanlwin-River local plants. She explained that since ethnic group villages live far from access of modern medicine, they often rely on medicinal plants and these plants are thus valuable to the communities. Yet, so far there hasn’t yet been any documentation of the local values of these medicinal plants, and she hopes that her research could help address this knowledge gap. Another one of the Salween fellows, Ms. Arun Shining, who is co-founder of the NGO Weaving Bonds Across Borders, explained that she has chosen to collect her data using an innovative research method. She plans to use a video-camera as a way to gather the thoughts of families and children who may be affected by dam construction in Shan State, Myanmar. Also, Dr.Huang Yaping, a lecturer from the Faculty of Law at Hohai University is focusing her study on to women of the Lisu ethnic group in Yunnan Province, China who have been affected by a dam project. She is looking specifically at their migration patterns, changes in their livelihoods and evaluating the effectiveness of dam impact mitigation programs so as to improve decision-making in the future. Many forum participants complimented that the session was unlike academic-styled presentations that they have attended in the past. Rather, it was designed in such a way that people from different backgrounds could be on the same page and therefore interact, engage and challenge one another openly and constructively. 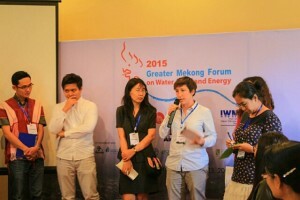 On Friday 23rd October, 2015, the Salween, Red and Mekong fellowship programs organized a second session titled “Debating Water Governance in Southeast Asia: The perspective of the 2015 WLE fellow.” This session opened the floor for fellows of the Salween, Mekong and Red River basin to share and reflect on their WLE forum experience. The session was structured first as paired discussions, followed by a plenary discussion facilitated by Dr. Kanokwan Manorom. The participants then broke in to table groups to focus on emergent themes that they had identified as consistently raised during the WLE forum, namely: water governance; public participation; and working towards interdisciplinary approaches. From my observation, it seemed that incorporating inclusiveness as a concept was a cross cutting theme across all three topics. The session was wrapped up by a reflection back from each table group, followed by a more informal plenary discussion for fellows to discuss their plans moving forward and challenges faced before they start their field data collection for their research. During the closing ceremony of the WLE Forum, representatives from the Salween, Red and Mekong fellowship programs were invited to give their personal reflections and analysis of key themes addressed by the conference. On behalf of the Salween Fellowship, Saw John Bright, Kyaw Thu Han and Dr. Bian Yongmin joined the stage leaving a memorable impression for everyone. They stressed points towards decision-making processes about large water infrastructure projects, in particular hydro-power dams, which they said should be more inclusive to ensure equality and sustainability for all. They also raised the issue of addressing gender equity, recognizing marginalized groups, and the need to address the challenges of trans-boundary governance. Now that the WLE forum is concluded, the Salween Fellows will be busy with their field research as they are well-equipped with their clear research design and ideas for research methodologies and approaches derived from the forum and our previous workshops. Early in 2016, the fellows will also be inviting their mentors to their field sites to benefit from the mentors experience. 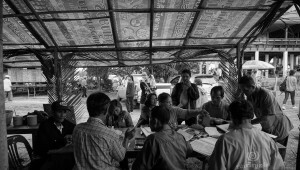 The next workshop when the fellows meet again will be in Bangkok, when the Center for Social Development Studies, Chulalongkorn University will host a “Write Shop” to help the fellows organize and analyze their data and refine it into a conference paper. This is an important step, as when it comes to the WLE forum in 2016 the fellows will present their research findings and we will produce a conference proceedings that compiles their research papers. In the meantime, the fellows will soon be writing about their field experience in the form of a blog which will be published on the CSDS and Mekong Citizen Website in January 2016. In this second workshop, we focus on the principles and best practices of undertaking fieldwork, and how to document and analyze the findings. This workshop, hosted by the MSSRC, Faculty of Liberal Arts, Ubon Ratchathani University, will entail workshop based discussion and practical experience in the field. Workshop objectives The workshop objectives are for research fellows to: learn about social-science research methods and how to apply them in field work, consider how to incorporate these research methods into their own fieldwork, practice these research methods in the field, and reflect critically on their use, learn how to undertake basic data analysis of qualitative and quantitative field data, continue to build relationships between one another across the river basins. On 4 to 6th August 2015, the Naga fellows from the Mekong, Red and Salween river basins traveled to Ubon Ratchathani province in Thailand for an intensive course in field research methods and to study the impacts of the Rasi Salai dam on local livelihoods. The event was hosted by the Mekong Sub-Region Social Research Center (MSSRC), Ubon Ratchathani University. Local Livelihoods and change of wetland resources and utilization. By the early evening, the fellows had relocated from the university to Si Sa Khet province, and were settling into their home stays in villages within the area affected by the dam. In the 1990s, the Thai government constructed the Rasi Salai dam on the Mun River in Si Sa Khet Province, inundating a large swathe of wetland, proposed to irrigate the surrounding areas. The impacted wetland was referred to by the locals as their ‘supermarket’ due to the invaluable resources it provided and that supported the community. 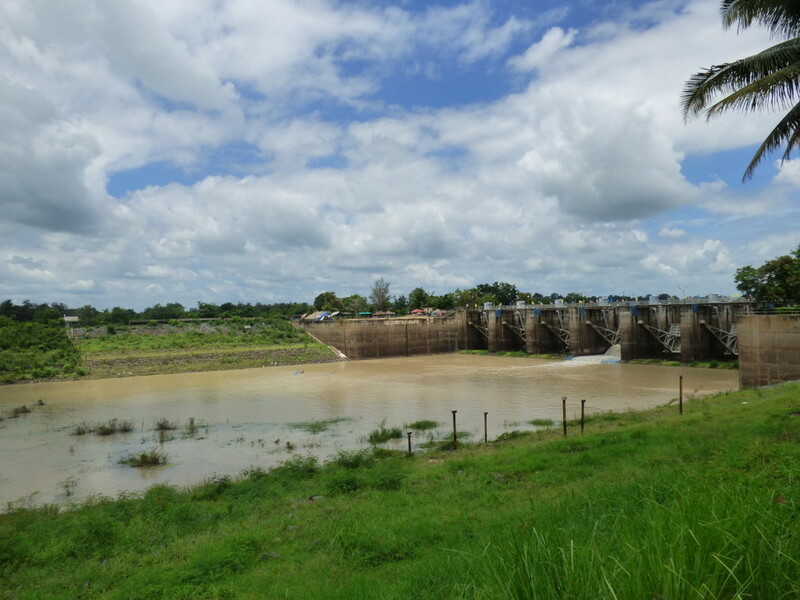 The dam had a severe impact on many people’s livelihoods, with prolonged flooding and the loss of river and wetland biodiversity reducing fishing yields, wetland rice farm production, and farmers’ ability to raise cattle and to collect valuable products from the wetlands, such as mushrooms, medicinal herbs, red ant eggs, and fire wood. When the government approved the construction of the Rasi Salai Dam, it did not conduct an Environmental Impact Assessment (EIA) or consult local villagers. When construction began in 1992, villagers were initially told that a 4.5 meter rubber weir was being built to solve the problem of water scarcity. However, after the construction the villagers found that instead of a small rubber weir it was a 9 meter concrete dam. Whilst there have been many impacts, relatively few villagers of the region have actually received the promised irrigation benefits. On Wednesday August 5th, the fellows and staff woke up in their local villages, and began to explore their allocated themes. Most of the groups started out with interviews a range of people, from local government organizations to farmers living off the land. The fellows learned that some villagers who once relied on the wetlands for food, were no longer able to grow crops because the flood regime had changed; it had led to water logging creating soils that could no longer sustain rice fields and other plant life. Villagers said that traditionally in the area there were 13 varieties of rice grown for generations, but now there are only 3. The river’s migratory fish species were also in decline. The fellows heard from the villagers interviewed that they are no longer able to depend solely on the land for food and economic security, and must seek alternative solutions. This has resulted in villagers migrating to big cities such as Bangkok in pursuit of low paying labor jobs, leaving their traditional agrarian way of life and weakening their ties to family, culture and their neighbors. For those who chose to stay in RasiSalai, the land is no longer able to provide the variety and quantity of foods it previously could, forcing people to purchase low quality products in the market which further increases their expenses and debt. The creation of the dam sparked social movements advocating for villagers’ rights and compensation. The Royal Irrigation Department (RID) is currently negotiating with the Taam Mun Association, which represents the villagers, for compensation and livelihood recovery programs. This has created a stronger trust and communication between the RID and the villagers that in the past. Finally on Thursday August 4th, the groups left the villages and arrived at the Lower Mun Irrigation Office for a wrap up of the workshop. The fellows were able to present what they had learned in the villages using the research tools studied on the first day of the workshop. A local village leader and a representative from the Royal Irrigation Department also joined the meeting to provide their perspectives on the Rasi Salai Dam and its benefits and impacts. Overall, the fellows had a valuable opportunity to build relationships amongst each other and therefore across the Mekong, Red and Salween basins. The fellows also learned various techniques for fieldwork and had the chance to actively apply them in the field. In addition, the fellows were able to learn from the local situation at the RasiSalai dam, and to contrast it with the experience in their own countries. The fellows are now looking forward to meeting again and sharing the progress of their research at the “2015 Greater Mekong Forum on Water, Food, and Energy” on 21-23 October in Phnom Penh, Cambodia. Please see the blog titled “Finding Common Ground: Co-produced Wetland Zoning in Northeast Thailand”(12 August 2015) produced for the Recovering and valuing wetland agro-ecological systems and local knowledge for water security and community resilience in the Mekong region(RECOVER) project.